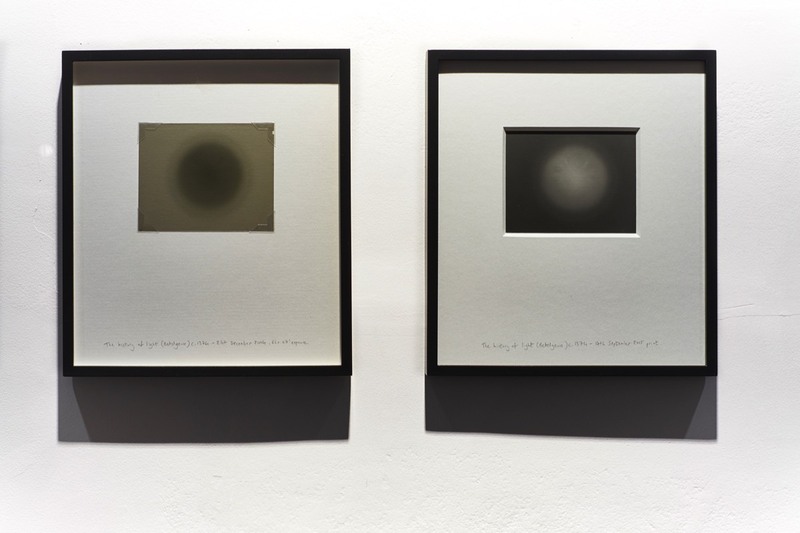 c. 1374 - Dec 2015, unique gelatin silver photograms and gelatin silver prints. 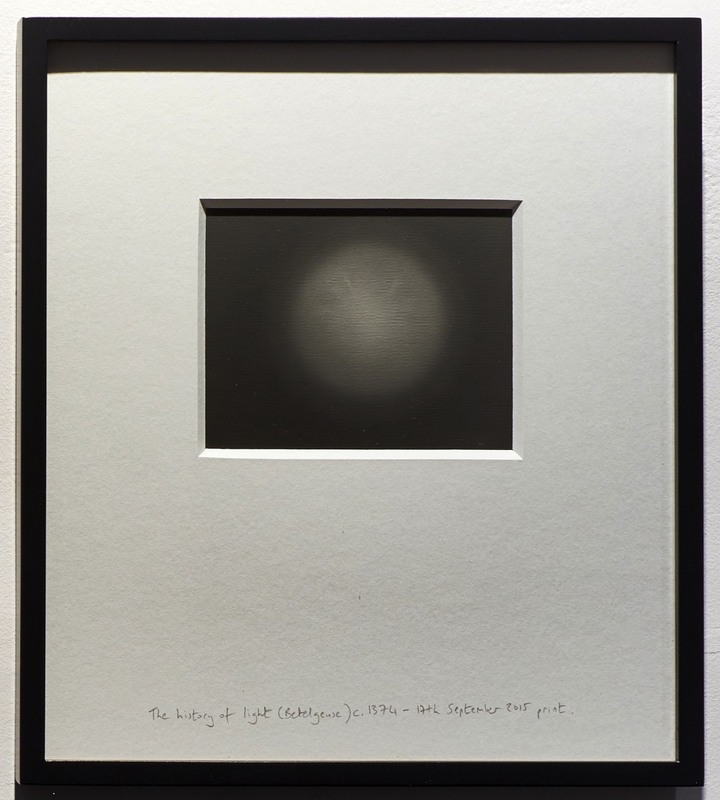 The history of light (Betelgeuse), is a series of photograms made directly with the light from the dying star Betelgeuse, in the constellation of Orion. As it takes the light from the star 640 years to reach us, there exists the possibility that the star has already died and is no longer visible but we do not know it yet, the loss of it’s light may not have reached us yet. Each photogram (in the series of 5) was made by following the star from the slopes of Mount Teide in Tenerife over the course of one night, tracking the star as the Earth rotated beneath it. 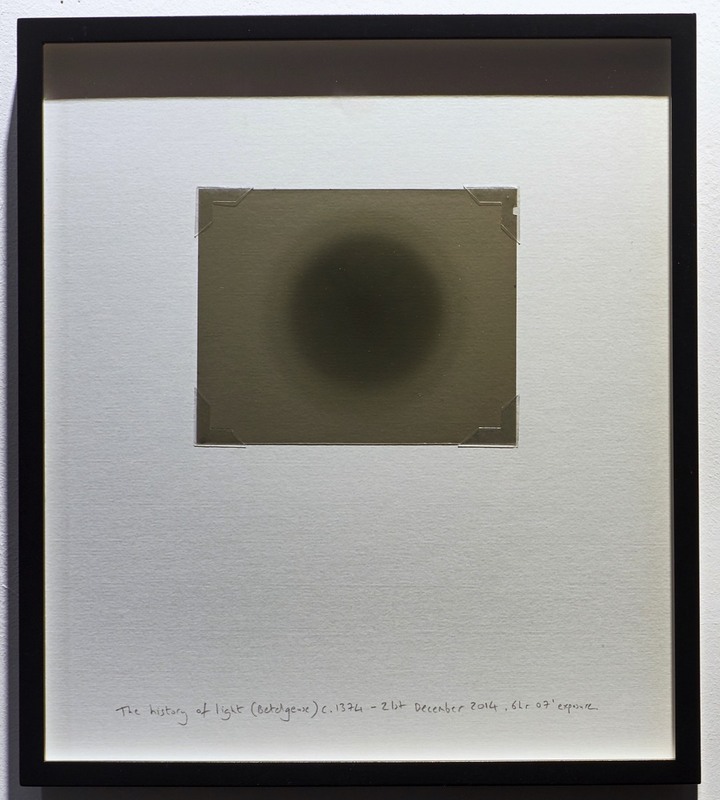 The photograms are dated according to the duration it took for the photons to leave the star Betelgeuse, travel across space, reach and fall down a long tube, a simple camera obscura made by the artist, containing the film and extinguish, recording an image, c. 1374 - 19th Dec 2014 for example. An archive of the light from the past, an unmediated image made only with the star’s light, the sheet of film becomes a boundary between what is present and what is past. Shown with a print made from each photogram acting as a negative, a binary of differing temporalities of the same phenomenon.